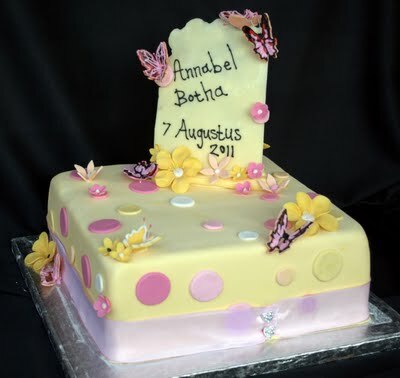 Yellow Christening with pink polka dots and butterflies. This cake was for a baby girl in Pretoria. 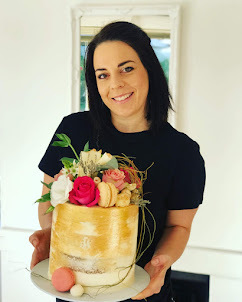 The whole cake was made with chocolate cake and coffee butter cream icing.